Cryolithionite is a sodium lithium aluminum fluoride (Ussing, 1904). 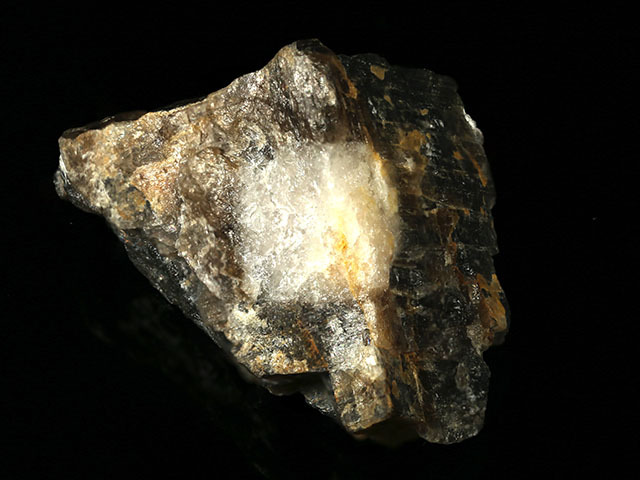 The name denotes the lithium content, and also the chemical similarity to cryolite. Cryolithionite has the garnet crystal structure. Cryolithionite here forms an equant white crystal, 14 mm across, embedded in massive cryolite. 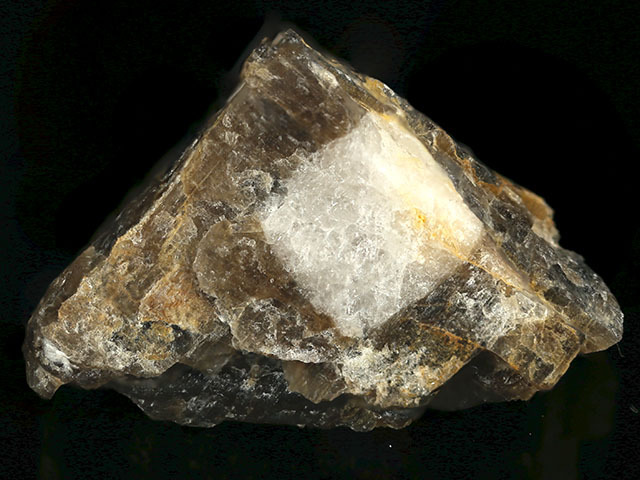 In this case, the cryolite is smoky brown, so there is excellent contrast between the fluoride minerals. A curious piece. This specimen was part of the personal collection of Ralph Merrill, proprietor of the prolific mail order business Minerals Unlimited. There is a label from the Geological Museum of the University of Copenhagen. Merrill's collection card and label also ship with the specimen.